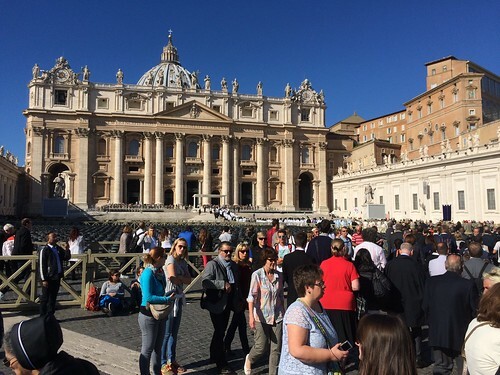 It has sadly become an established media narrative that references to the Church's relations with Jews, and the Vatican II document on the subject, Nostra aetate, must include an attack on the Traditional Mass. This was on display a few years ago in the disgraceful CTS pamphlet about 'Catholic Traditionalism' by Raymond Edwards (thankfully, no longer in print), but has been taken to new lengths in connection with the 50th anniversary of Nostra aetate. A really deplorable article in the Jewish Chronicle makes an unambiguous connection between Pope Benedict, the Traditional Mass, and antisemitism - though the article displays such a poor knowledge of the issues that I am more inclined to see the author, the historian Dr Geoffrey Alderman, as a victim of misinformation, rather than as a perpetrator of it. The Jewish Chronicle has chosen not to publish my letter in reply. I can't imagine they have any interest in the Traditional Catholic liturgy; instead, they may rather like the narrative of Jewish-Catholic reconciliation after Vatican II, which my letter questioned by stressing the elements of continuity. We know what Jesus did on that occasion. 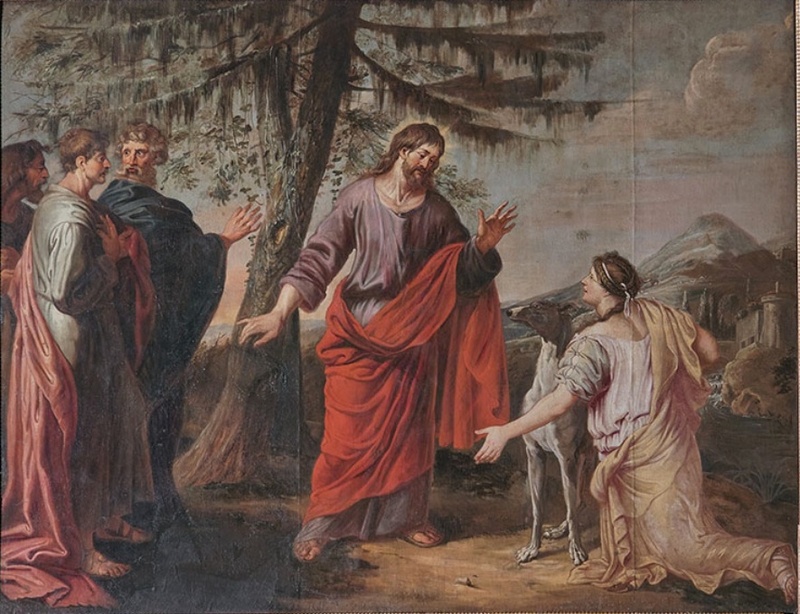 Instead of returning home with his family, he stayed in Jerusalem, in the Temple, causing great distress to Mary and Joseph who were unable to find him. For this little “escapade”, Jesus probably had to beg forgiveness of his parents. The Gospel doesn’t say this, but I believe that we can presume it. Mary’s question, moreover, contains a certain reproach, revealing the concern and anguish which she and Joseph felt. Quid est quod me quaerebatis? nesciebatis quia in his quae Patris mei sunt, oportet me esse? St Luke adds three further pieces of information. First, that they did not understand this reply. Second, that Our Lady kept these words of His in her heart. And third, that, returning to Nazareth, He was subject to them. A very happy and holy Christmas to all my readers! 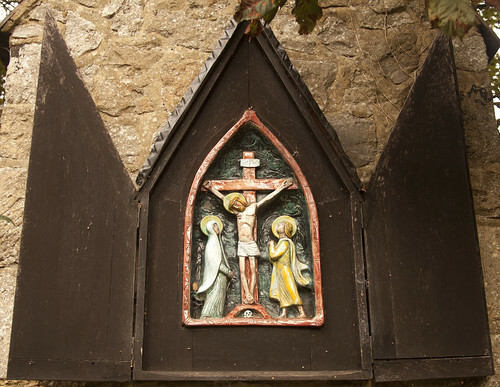 From the All Saints Convent, Oxford, currently occupied by the Conventual Franciscans. Considering the reactions (mostly on Twitter) to my post about Fr Ratzinger's 1969 remarks about how once all the 'edifices' and 'privileges' of the Church had been completely wrecked, 'a great power will flow' from the Church, it strikes me how difficult many people find recognising liberalism when they see it. Even after all this time, many people with conservative, even traditional, instincts, don't really grasp what liberals are all about. The fact is, as Hans Urs von Balthasar pointed out as early as 1952, that … she [the Church] must relinquish many of the things that have hitherto spelled security for her and that she has taken for granted. She must demolish longstanding bastions and trust solely the shield of faith. This is, clearly, the same thought as that expressed in the passage I quoted in the earlier post. Far from him regretting the loss of the Church's institutional baggage, as one might call it, Fr Ratzinger thought it was necessary and good. This is simply the application to the Church of what political liberals have been saying since Rousseau, and are saying today more loudly than ever. Destroy the institutions, destroy the structures, customs, traditions and expectations of traditional society, of morality, of the family, and of the state, and a great awakening, a great liberation, a great flowering of humanity will take place. Haven't we all heard this? And isn't its absurdity sufficiently evident? 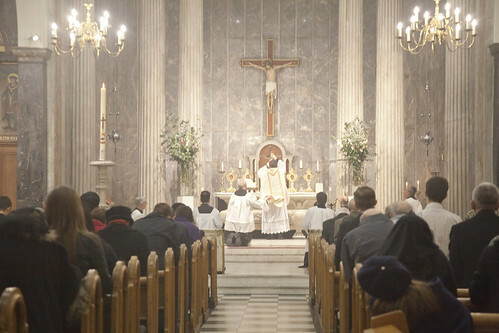 Each year since time immemorial (almost) the Latin Mass Society has organised a celebration of the Sacred Triduum in London according to the 1962 books. Last year, for the first time, we managed to include Tenebrae each day. I'm delighted to announce that we will be doing that again, and at a consistent time each day. The times are not the standard ones, because we have to fit round other things at the church, but they do make sense. The venue is St Mary Moorfields, and we are very grateful to Canon Peter Newby for his hospitality there. This has to be one of the stranger things to happen to the LMS while I have been involved. 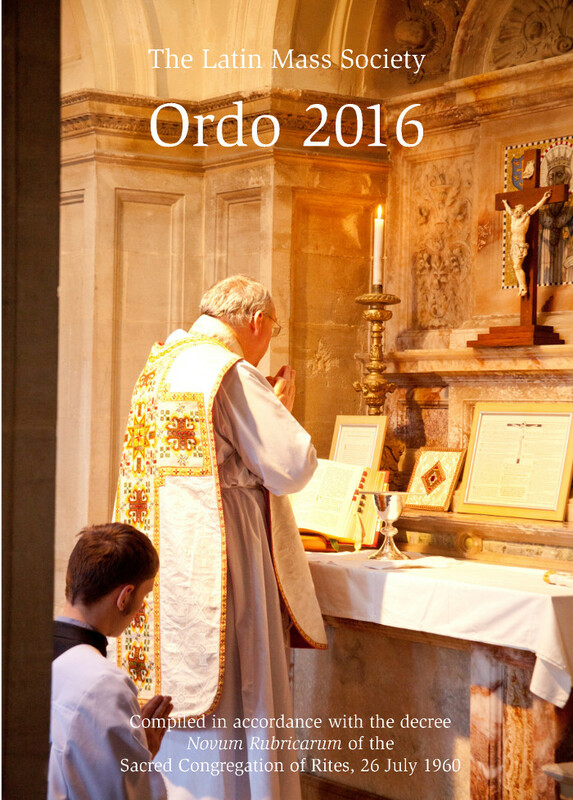 A badly printed version of our famous Ordo, a calendar of feasts for England and Wales for 2016, has been delivered to at least one shop before we could get the authorised version there. We take the quality of our publications very seriously, and as this bears our name, we are not at all pleased about it. You can buy a copy of the real thing directly from us here. Unauthorised, on the left; the real thing, on the right. From the LMS News blog. 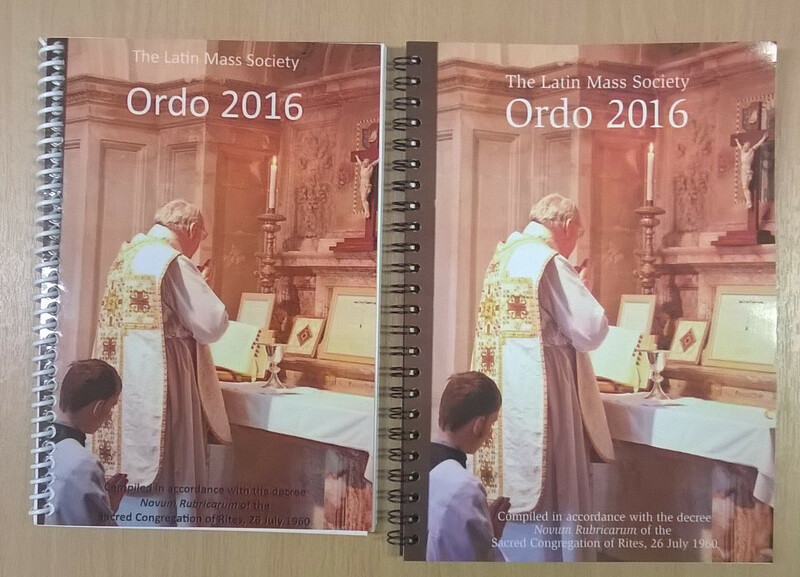 It has come to our attention that unauthorised copies of The Latin Mass Society Ordo 2016 are in circulation. If you have purchased one of these unauthorised copies please contact Stephen Moseling, the General Manager, at the LMS Office (020 7404 7284) and we will replace it with a bona fide copy. 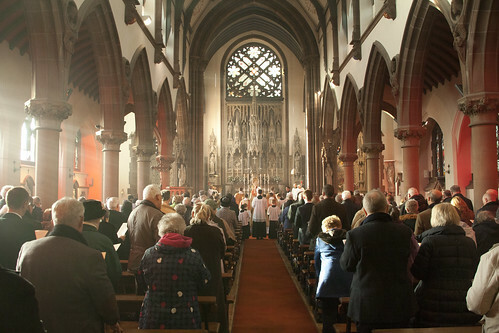 Christmas Day Mass in Holy Trinity, Hethe, last year. 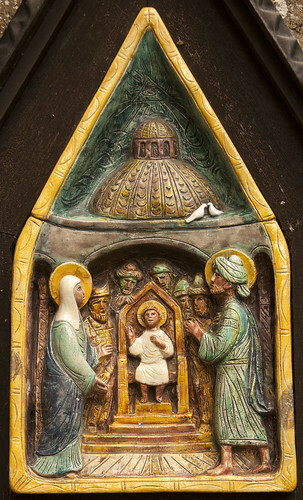 See the whole list of Christmas Masses here, and Masses for the Epiphany here. 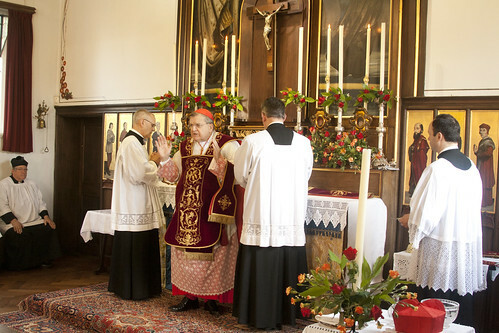 The Latin Mass Society is advertising a record number of Masses in the Extraordinary Form being celebrated this Christmas. Counting Midnight Mass and the Mass of Christmas Day, there will be no fewer than 61 celebrations this year. This represents an increase of 11 since last year. It is interesting that there was not increase between 2013 and 2014. In many ways I have the impression that there was something of a pause in the development of the Traditional Mass around that time. But that is over now, and it is not difficult to see where the growth has come from. 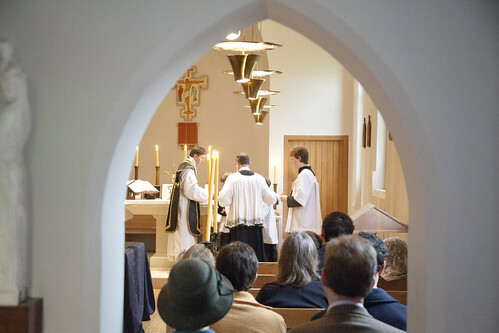 We have a whole group of new centres for the celebration of the Traditional liturgy coming on-stream this year: the Institute of Christ the King Sovereign Priest in Preston, the Fraternity of St Peter in Warrington, the Friars in Gosport, the Oratory in York, a new EF Mass venue in Bedford, and so on. 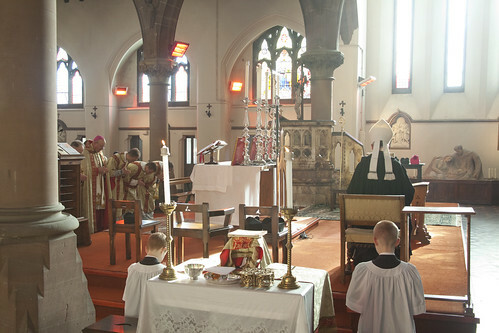 Who would have thought, ten years ago, that there would be celebrations of the Traditional Mass for Christmas in six churches in the Archdiocese of Liverpool? That there would be a Traditional Mass for Christmas in places like the University Chaplaincy at Leeds, or Portsmouth Cathedral? That there would be traditional High Masses - with celebrant, deacon and subdeacon - in five different places for Christmas? In Sheffield, Birmingham, Warrington, New Brighton, and Gosport. 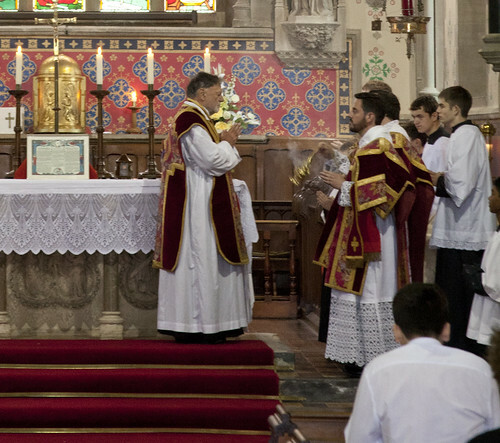 We have a long way to go, in making the Traditional Mass genuinely available to Catholics in England and Wales. 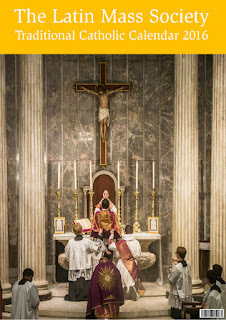 But thanks to the tremendous work of the priests who love this Mass, and to the faithful who support them - including the Latin Mass Society - we are moving in the right direction. When vulgar and uncharitable personal abuse is aimed at people these days, it usually seems to be justified by the claim that the victims have been lacking in charity in some way. Perhaps it is no surprise, then, to see a similarly self-defeating attack on 'intra-Catholic wars' by George Weigel, one of the most ferocious captains of perhaps the most desperate tribe involved in these wars, the neo-cons. Then again I asked him: 'Supposing the Pope looked up and saw a cloud and said 'It's going to rain', would that be bound to happen?' 'Oh, yes, Father.' 'But supposing it didn't?' He thought a moment and said, "I suppose it would be sort of raining spiritually, only we were too sinful to see it.'" I can imagine what the fathers, saints and doctors of the Church would say to that attitude, and it's not only the Pope's sanity that I'd be praying for. Is this the meaning of being soldiers of Christ, of holding fast to the Faith: publicly pretending, really, really, hard, that everything is ok, when it isn't? Weigel's appearances in the English Catholic press seem these days to be limited to attacking everyone in the Church (apart from the Pope, naturally) who doesn't agree with him. He did it a while ago in The Tablet, and I replied, on behalf of both progressives and traditionalists, in The Tablet's own blog with a guest post. He's done it again in The Catholic Herald, so I've written a letter, published last weekend. How thoughtful of George Weigel (Cover story, November 27) not only to decry the “intra-Catholic wars”, but to give us such a vivid example of this sad phenomenon – in his own article. 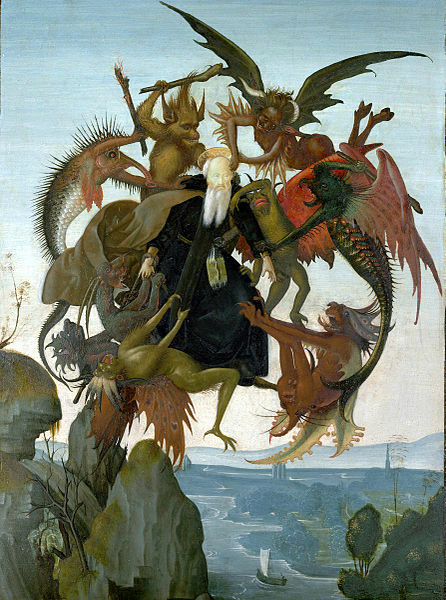 Catholics are divided into camps, and the ones with the temerity to disagree with him are not engaged or analysed, but thrown playground insults: “traditionalists’ ” ideas lead to “self-constructed catacombs”, thanks to them being “somewhat self-indulgent”; “progressives’ ” ideas lead to “the Church’s implosion”. Mr Weigel does not stoop to draw out these ideas, and his readers are left entirely in the dark as to what form they might take. To a truly tribal participant in the Church’s internecine conflict, of course, that doesn’t matter. As Mr Weigel mentions, “progressives” and “traditionalists” share a sense of the radical nature of the Second Vatican Council and the reforms that followed it. 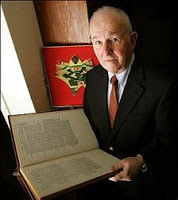 This understanding is increasingly supported by the historical record, as more information comes to light: the recently published diaries of the Council peritus and member of the liturgical reform Consilium, Louis Bouyer, is only the latest example. If we are to address the problems of today, we must engage with this reality, and not start from inside a bubble of self-delusion. See also my post about criticising the Pope. 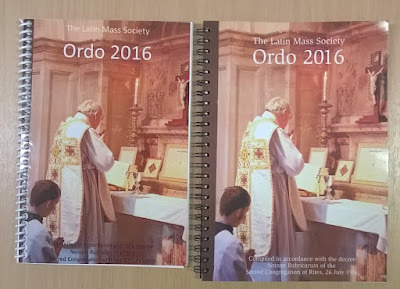 The Latin Mass Society's famous and indispensible Ordo - day by liturgical calendar - is now available for 2016! A day-to-day liturgical guide for the Missal of 1962 (Extraordinary Form, Vetus Ordo) for England and Wales. Liturgical details of every Mass for every day of the year. A fascinating video on 'Dome of Home', including memories of its earliest years from local parishioners, thanks to the Institute of Christ the King Sovereign Priest. 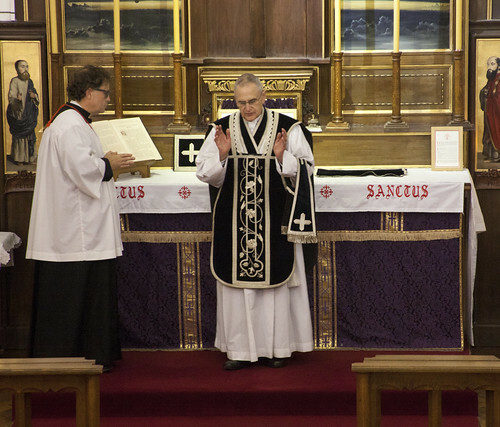 celebrant, left, and Fr Bailey subdeacon, on the right. The Summer Latin Course organised by the Latin Mass Society with Fr John Hunwicke and Fr Richard Bailey is now taking booking for 2016. The dates are 25 to 30 JULY 2016. 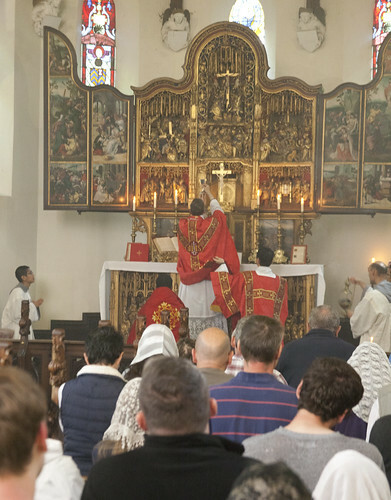 It takes place in Pantasaph and Holywell, near Flint in North Wales, and shares daily Mass with the St Catherine's Trust Summer School, so there is Sung and usually High Mass in the Extraordinary Form every day. The Course is an intensive 5-day course, Monday to Saturday, using the LMS coursebook, Simplicissimus. Priests, deacons, seminarians, and those about to become seminarians (and other students) can do the course for half price. 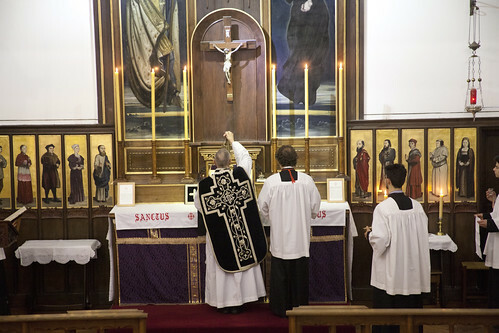 The full price is more or less the cost price; clergy discount represents a hefty subsidy by the Latin Mass Society. This is a brilliant little promotional video for the Wall Calendar produced by the Sons of the Holy Redeemer of Papa Stronsay. All I'd add is that you can buy your copy here. This, from a letter to The Remnant by the distinguished theologian Fr Brian Harrison, deserves a wider audience. The letter was written in the context of Pope Benedict's Prayer for the Jews, which that paper strongly supported. Fr Harrison is talking about the reformed Office, or Liturgy of the Hours, the Novus Ordo one, not the 1962 or any earlier edition. His observations places the ambiguity of the 1970 Good Friday Prayer for the Jews into some liturgical context. [O]n the last day of every year (December 31 at "Lauds" or "Morning Prayer"), the Church prays: "O Christ, God and man, you fulfil the prophecies as David's Lord as well as his son: we beseech you that Israel may recognize you as Messiah (te rogamus, ut Israel te Messiam agnoscat)". This short article was published in response to the publication of the revised Prayer for the Jews, to be used in the Extraordinary Form Good Friday Liturgy, by Pope Benedict XVI, in 2008. The prolific American writer and translator, Rabbi Jacob Neusner, points out that Jews pray every day for the conversion and enlightenment of the gentiles, and have no reason to be offended if their charity is reciprocated. I have taken the text from Chiesa, here. Israel prays for the Gentiles. So the other monotheistic religions, including the Catholic Church, have the right to do the same thing, and no one should feel offended. Any other attitude toward the Gentiles would block them from encountering the one God revealed to Israel in the Torah. The Catholic prayer manifests the same altruistic spirit that characterizes the faith of Judaism. 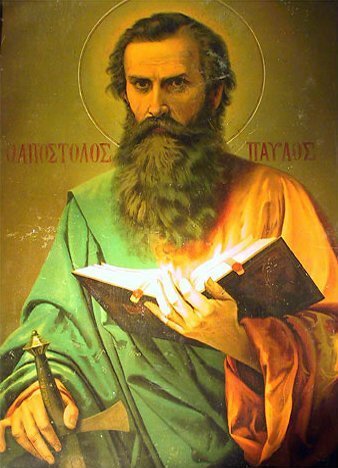 The kingdom of God opens its gates to all of humanity: when they pray and ask for the swift coming of the kingdom of God, the Israelites express the same degree of freedom of spirit that impregnates the papal text of the prayer for the Jews (better: "Holy Israel ") to be recited on Good Friday. In case anyone has forgotten, back in 2008 when Pope Benedict's Prayer for the Jews, for use in the Extraordinary Form Good Friday Liturgy, it was explained and defended by Cardinal Kasper, among others. Cardinal Kasper's is a particular way of understanding the question of the conversion of the Jews. While I appreciate the sensitivies, I would not be comfortable with a blanket condemnation of 'targeted' evangelical outreach to Jews, as for example that taken by the Jewish convert Alphonse Ratisbon in the late 19th century. Cardinal Kasper does not make such a condemnation, but it might seem implicit in what he says. It is important, however, that he makes the point that we don't hide our witness to the Faith from Jews, and that our belief in the universal validity of Christ's redemption, and their rejection of this, has to be the basis of an honest dialogue. If Cardinal Kasper has no problem with Pope Benedict's Prayer for the Jews, then it seems pretty surprising that anyone in the Church should have a problem with it. His affirmation that, obviously, Christ died for all men, could usefully be underlined. The full text is here; I paste in highlights. Unlike the 1970 text, the new formulation of the 1962 text speaks of Jesus as the Christ and as the salvation of all men, and therefore also of the Jews. The 2008 prayer replaced one expressed in rather strong language, language used by St Paul in 2 Corinthians 3 and 4. Pope Benedict thought it best to express its central idea, and even its central image - of light overcoming darkness - in a slightly different way. The splendid Fraternity of St Peter Wall Calendar has been advertised on Rorate Caeli here; allow me to draw to readers attention three others. The Latin Mass Society Wall Calendar. Unique in having pictures down the left of an A3-format page, and the days in a long vertical list down the right, with plenty of room to write in your appointments. Indispensible in England and Wales, of course, because it includes our local feasts. 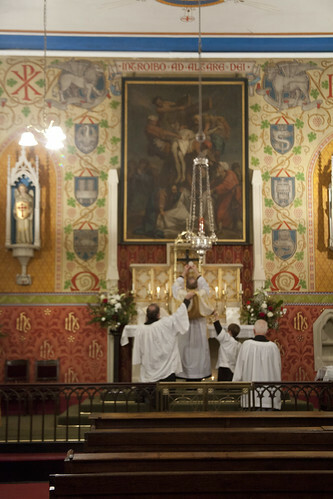 The photographs are liturgical in focus, of Mass and other devotions. There are multiple photographs on each page, another unique feature. This is one of the Oratory Fathers' 'youth' events; it starts with a Traditional Sung Mass and continues with two talks, on Thursday 26th November. In the Magisterium and Spirituality of the Church. 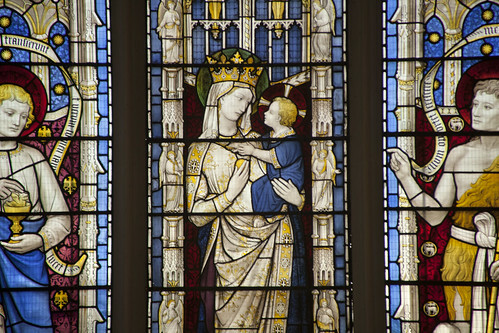 A one day Symposium on the mystery of The Blessed Virgin Mary in her role as 'Co-Redemptrix'. Come and discover her unique role in mans salvation with two conferences by the Franciscans of the Immaculate and Friends. 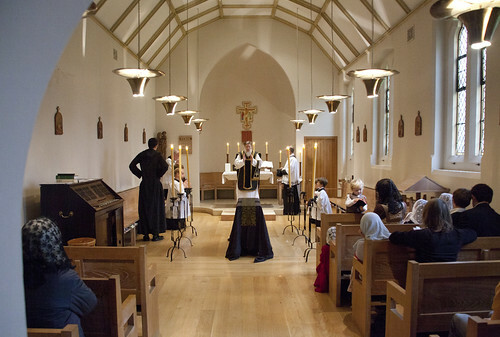 6:30pm - Sung Mass in the Extraordinary Form (with the choir of The Franciscan Sisters of the Immaculate) in the Little Oratory (which is to the left of the large Brompton Oratory on the same grounds). Mass of St Sylvester. 7:30pm - Social gathering with refreshments. -'A 'Sacerdotal People of God': A look into the Priesthood of Mary and her victim hood as Co-Redempress'. by Fr.Serafino Maria Lanzetta. circa 9:10pm - Question and answer session. Afterward there shall be another Social gathering. Bring as many people as you can to discover the beauty of this Marian Mystery. years ago, which was celebrated by Fr George Bowen of the Oratory. I have now uploaded my photos; there will be another large collection from another photographer in due course. This post will be just photos. An exhortation to the Confirmation candidates. 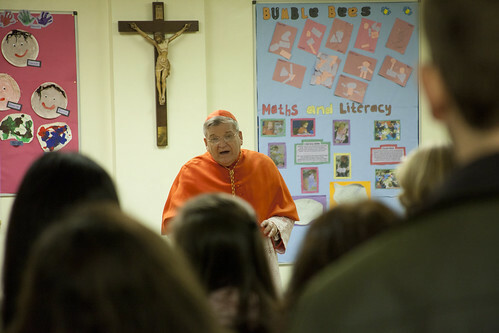 We had a wonderful weekend with Cardinal Burke. I don't have time to blog about it now, and I won't have time tomorrow, but I will do so thereafter. I think Catholics should simply say that ‘I cannot accept this teaching as it goes against what the Church has always taught and practiced.’ I don’t think that Catholics should permit themselves to be driven away from the Church by those who are not upholding the Church’s teaching. This quarter's edition of Mass of Ages is a special one because the same mailing to members carries a copy of the Ordinary Booklet which I have already blogged about here. Non-members can buy a copy for themselves (of course you really ought to JOIN...); they are already appearing in churches where the Traditional Mass is offered. The magazine itself is a zinger, with contributions from established journalists - Tim Stanley of the Daily Telegraph, Alberto Carosa of Inside the Vatican, and Mary O'Regan of the The Catholic Herald - and a number of prominent Catholics, including Martin Baker, the Master of Music at Westminster Cathedral, Dr John Newton of Aid to the Church in Need, the barister Neil Addison, and Mgr John Armitage, Walsingham's Shrine Custodian. Here is more information and links to taster articles from the LMS website where you can order copies. Don't forget to attend, if you can, Cardinal Burke's celebration of the LMS' Annual Requiem: this Saturday, 14th November, 2pm Westminster Cathedral. 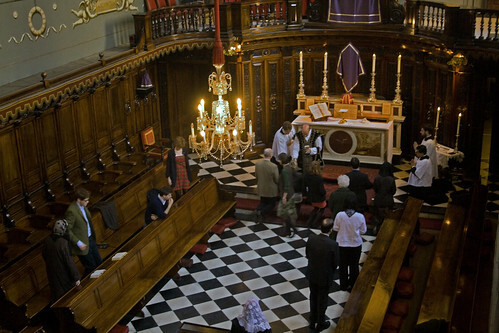 A work of pietas undertaken by current and former members of St Benet's Hall, to offer Mass for the repose of former members and benefactors of the institution, facilitated by the Latin Mass Society. If a Catholic institution of any kind does not have an annual requiem for this intention, then it should do. 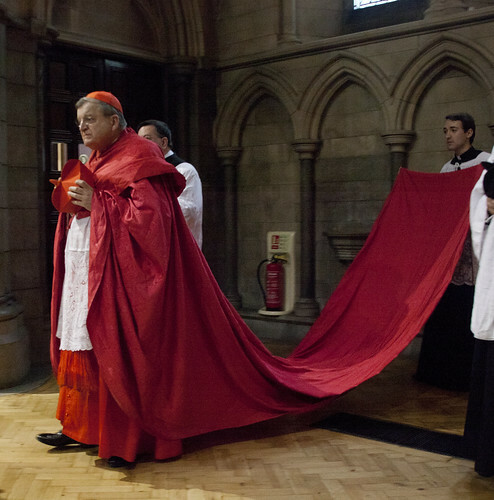 Cardinal Burke is coming to England at the invitation of the Latin Mass Society, and also of CIEL UK. He will be taking part in the following public events. 2:00 pm Address to the Annual Conference of CIEL UK, St Wilfrid Hall, London Oratory. Don't miss your chance to see and hear him. 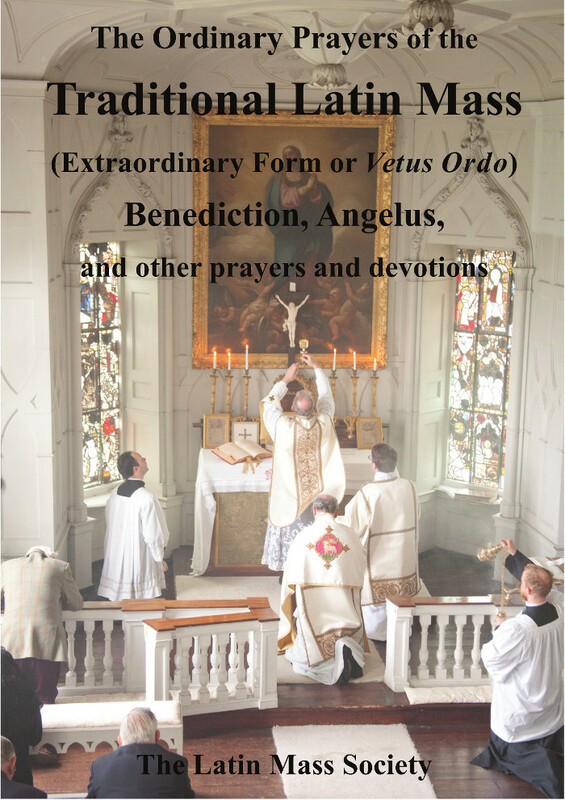 Members of the Latin Mass Society are this weekend receiving their copies of the quarterly magazine, Mass of Ages: with this edition is enclosed a brand new booklet missal or missalette, with Ordinary Prayers of the Mass, Benediction, and other prayers and devotions. This new book has a clear, accurate, and readable new translation of all the Ordinary of the Mass, taking account of the improved ICEL translation of the Novus Ordo where applicable, but using traditional language ('thee' and 'thou' etc.). It has new illustrations showing the postures of the priest at different points during the Mass. Then the Lord said to Satan: Behold, all that he hath is in thy hand. Dixit ergo Dominus ad Satan: Ecce universa quae habet in manu tua sunt. It is easy to dismiss such stories, but the composition of the prayer does need explanation. 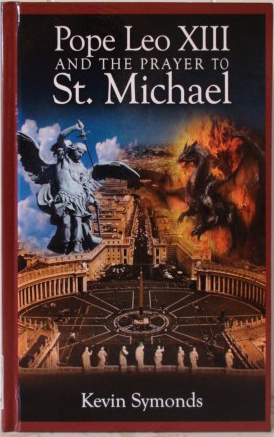 Pope Leo inherited the idea of the Prayers After Low Mass, which had been ordered to be said in the Papal States for their protection against attack, by Pope Pius IX, but it was Leo who made them universal, and added the Prayer to St Michael. Why did he want Catholics all over the world to recite this heartfelt plea for the protection of the Church from satanic attack? I've just read Bishop Schneider's excellent critique of the Synod's Final Relatio, paragraphs 84-86. Here I want to say something about paragraph 71, translated by Rorate Caeli. 71. The choice of civil marriage or, in several cases, simple cohabitation, is often not motivated by prejudice or resistance against the sacramental union, but from cultural situations or cultural contingents. In many circumstances, the decision to live together is a sign of a relationship that actually wants to navigate towards the prospect of stability. This will, which translates into a lasting bond, reliable and open to life can be considered a commitment on which to base a path to the sacrament of marriage, discovered to be God's plan for [the couple's] lives. 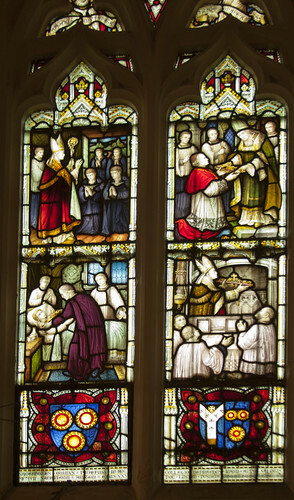 The path of growth, which can lead to sacramental marriage, will be encouraged by the recognition of the distinguishing characteristics of a generous and lasting love: the desire to seek the good of others before their own; the experience of forgiveness requested and given; the aspiration to build a family that is not closed in on itself but open to the good of the ecclesial community and of the entire society. Along this route those signs of love that properly correspond to the reflection of God should be valorized into an authentic conjugal project. I'm not going to go into who 'won' the Synod, what the Pope meant in his concluding remarks and post-Synod sermon, or the latest Sclafari interview. If we want public documents, whose wording has been pored over and voted on, this is quite enough. It is not a document with magisterial authority, but then none of the key moves in this game are about documents of magisterial authority. 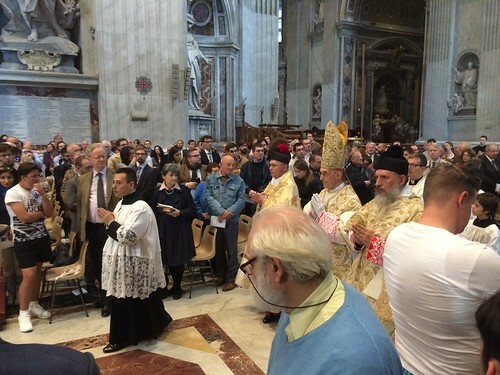 For the first time, the FIUV General Assembly and the Latin Mass Society pilgrimage to Rome were coordinated with the Summorum Pontificum Pilgrimage to Rome, which meant that the LMS and the FIUV sponsored some of the music for the SP Pilgrimage, and offered additional liturgies for the SP Pilgrims. Bishop Laise processes into the Chapel of the Throne at St Peter's for Mass. 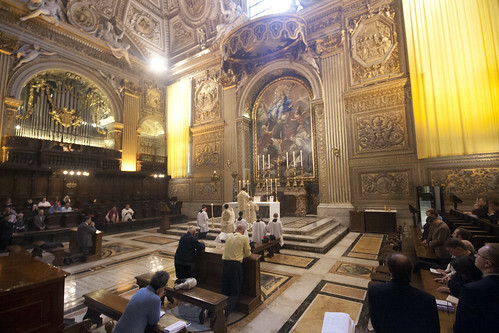 Matthew Schellhorn's choir from London, Cantus Magnus, sang for the Eucharistic Adoration which preceded the procession to St Peter's, for the Sunday Mass in Sta Trinita dei Pellegrini, for two Vespers in the Domus Australia where the FIUV General Assembly took place, and a final High Mass on Monday morning in the same venue. A while ago on this blog I linked to something being promoted by a group in the USA calling itself 'the Latin Mass Society'. So I think it behooves me to make it clear that, although there wasn't anything as far as I could see intrinsically wrong with that particular initiative, the Latin Mass Society of England and Wales has nothing to do with this group, has no formal links to it, and in light of more recent developments wants nothing to do with it, and would recommend to others to have nothing to do with it either. This isn't a very edifying topic, but a little bit of background. It is always a little bit irritating when two organisations have the same name, and when 'the Latin Mass Society' popped up on a campus in the USA with a slick website we asked them to find a way of differentiating themselves from us - there are many Latin Mass Societies around the world, as there are Ecclesia Dei groups and Una Voce groups, but they always have some kind of geographical qualifier ('of Ireland', 'of Florida' or whatever). Eventually they put a tiny disclaimer at the bottom of the home page; you'd need a magnifying glass to see it. Anyway, I didn't want something silly like that to stop us collaborating with people who supported the cause, so when some time later Anthony Perlas came on the scene as the head of this group, I didn't see any reason not to give support his initiatives. In the last few months, however, something rather odd has been happening on his web pages. 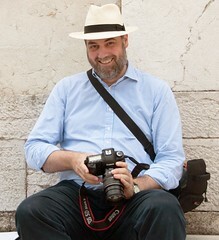 Perlas is a photographer, and he seemed to be focusing on photos of attractive young women wearing head coverings. And there was something a little... odd about some of these photos, and the accompanying text. A previous LMS Pilgrimage Mass. 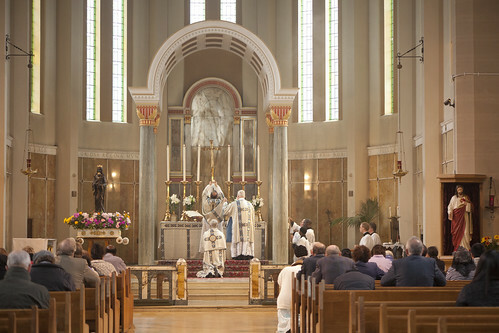 The LMS pilgrimage to the Shrine of Our Lady of Willesden takes place on Saturday, 31 October. 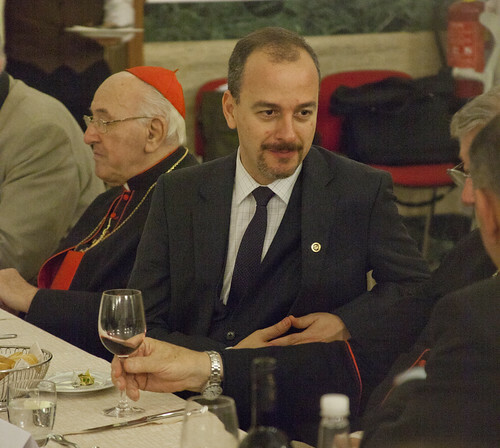 I have now returned from Rome where I attended the 50th Anniversary General Assembly of Una Voce International. I am very pleased by the results of the elections, which is a Council representing the world-wide presence of the Traditional Movement, and our first President from outside Europe, Felipe Alanís Suárez, from Mexico. I remain on the Council, and I will continue to publish the series of Position Papers. I have been more than happy to pass the responsibility of Treasurer on to another Councillor. The follows the official Communique, addressed to the Federation's member associations. .